For the most enthusiastic audiophiles, the home theater setup is not yet complete without a great audio to match and compliment equally great visuals. 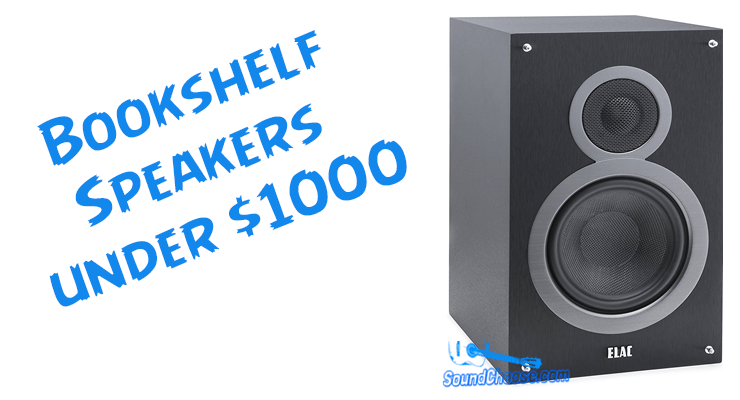 You’ll need surround sound and so having a pair or more of the best sounding speakers in the world can only be possible with the best bookshelf speakers under 1000 dollars for better surround sound for a sweet audio experience. In this guide, we bring to you the best bookshelf speakers under $1000. Feel like that’s overkill? Wait till you listen to some of these, they are simply the best sounding speakers in the world. Starting from the SVS Ultra, we present to you the best speakers for home theater. Hardly will you find a list of the best budget bookshelf speakers under $1000 without the SVS Ultra making an entry and most times on top for its sheer excellence. The SVS Ultra has both excellent designs and performance. The speaker was designed using high-quality components of top-tier capacitors, heavy-duty PCBs as well as a finish of high-quality black oak veneer with sophisticated bracing and a wedge-shaped front baffle. This refinement in appearance is complemented by an excellent performance which truly justifies its cost and value. 20 to 150W suggested wattage as well as an impedance of 8 ohms. The Audioengine HD6 sports a natural, old-school appearance with its grilles. The cabinets are constructed from high-quality MDF with a furniture-grade finish. As per the performance, the speaker uses it’s 1’’ dome tweeter with a 5.5’’ Kevlar woofer to produce a combined peak power of 150watts. The speaker supports Bluetooth connectivity and is aptX-compliant. The speaker has clearly constructed I/O at the back. The Audioengine HD6 is not just one of the best bookshelf speakers under 1000 but also one of the best speakers for music listening if you’d consider the really rich, crisp and clear sound output. if money is not your thing and a thousand can be spent on upgrading your home theater system, the Bowers & Wilkins 686 S2 seems a reasonable investment as it is simply one of the best speakers for home theatre. The Bower & Wilkins 686 S2 retails just shy of $900 and it no doubt justifies the value with its excellent performance and a stylish look to match. The new decoupled double-dome tweeter as well as an improved design as made it one of the best bookshelf speakers under 1000 dollars with great power and precision despite its small and compact design. Coming in at a far cheaper price, the Klipsch RP-160M still has that performance and design that will stand up to even pricier models without disappointment or troubles. The speaker has a very natural midrange synonymous with most Klipsch speakers and the signature copper-spun woofer makes the design also as admirable as the audio performance. This is an Andrew Jones-designed speaker and so you know you have a gem of a speaker on your hands. The Elac Debut B6 retails less below the $1000 mark and for both a great performance and alluring design, it found its way into the elite class of the best bookshelf speakers under $1000. Now, the Elac B6 measures about 8’’ wide and 14’’ tall, pretty large and covered with a black vinyl finish. The driver is protected by a removable cloth grille and features a 6.5’’ woven woofer with a single bass spot on the rear side with each speaker weighing about 14.3lbs. Fairly large speakers measuring 8.5’’ x 14’’ x 10’’. The best bookshelf speakers under $1000 offer great audio to complement and upgrade your home theater system to provide the best of surround sound. When you need the best speakers for home theater, any of these from the highly exceptional SVS Ultra down to the more affordable Elac Debut B6 will easily help to transport you into a new realm of audio experience and great fun.